Just as the title states this routine is short, but intense and inexpensive, it can be done anywhere, and at anytime all you need is a Jump rope. Jumping rope is a great overall body toner/sculpter and a fantastic calorie burner. Just remember to keep your elbows close to your sides this will ensure you use your wrists and forearms. I will perform this routine typically, on my weight training days . If I am really short on time I will do it only once, but I typically I allot 20 minutes, the first 10 minutes before the weight routine and 10 minutes after. (Sometimes I will jump after my run, gotta love the calorie burn). 9:00-10:00 Basic Jump Repeat twice if time permits. 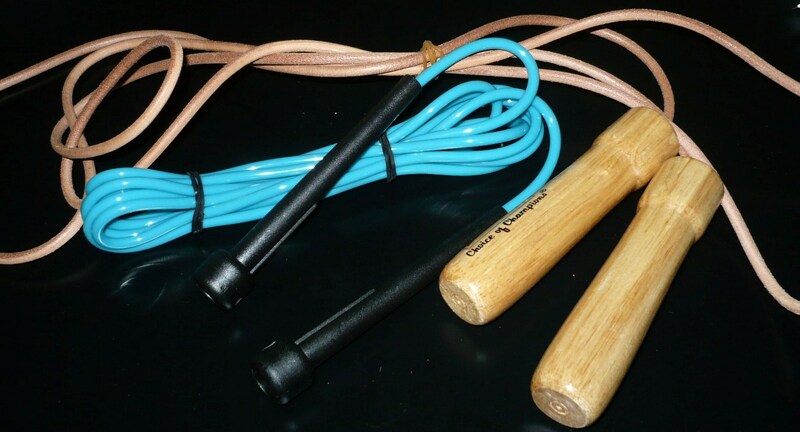 FYI: When purchasing a jump rope, step in the center of the rope, lift the handles, they should not go past your armpits. Have fun with this routine and let me know what you think.